All those little life hacks for travelling New Zealand. Our favourite type of hacking is life hacking. 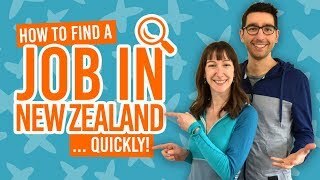 We’ve assembled all those little travel hacks that could make your life in New Zealand much easier! Some of which you didn’t even know you needed. From food hacks to keeping your campervan in top condition, these tips are sure to make you boss your backpacking trip in New Zealand. We’ve also got some New Zealand-specific tips that will especially help you in New Zealand supermarkets or provide a solution to that classic Kiwi problem – breaking your jandals! So sail through New Zealand with these life hacks for travellers and backpackers! Also check out our 18 Backpacker Hacks That Everyone Should Know. Canned food is kind of a big thing amongst backpackers, especially when tackling multi-day hikes. Although many canned foods have an easy-to-open handle and most knife tools have a can opener, you may find yourself left with your can and nothing to open it with. Fear not, we have a tip for you: the top lid of canned food is usually a much softer metal than the sides, so using a knife and a rock. You will be able to breach through it in an instant. Then slide the knife around like a can opener and “voila”, dinner is served. Do you fancy really fresh bread? Just look at the colour of the bread tag. New Zealand basically has two main bread factories that supply bread to all the brands in the country. For instance the brands Budget, Pam’s, Norths, TipTop, Ploughman’s and Burgen are made in the same factory and their tags follow this order: pink (Monday), blue (Tuesday), yellow (Wednesday), red (Thursday), green (Friday), orange (Saturday) and white (Sunday). For more food tips, see 11 Backpacker Tips to Save Money on Food. Speaking of bread tags, if one of your jandals – that’s Kiwi for “flip-flops” – comes loose, grab one of the bread tags and slide if over the peg. It will be fixed for the rest of the summer. That’s Kiwi engineering at its finest right there! Campervan plumbing is very sensitive – VERY SENSITIVE. So you will want to take good care of it when travelling around. A great trick to ensure smooth plumbing is to not let anything else other than liquid go through it. Be cheap and get yourself a pack of 30 coffee filters to place in the sink. It will let the water pass right through while gathering unwanted bits and pieces in the filter. Replace it every two days and you will have no plumbing issues (caused by blockage anyway). In New Zealand we drive on the left. You knew that, right?! That point itself is worth remembering when crossing the road. With that in mind, remember to also walk on the left of the sidewalk/footpath to avoid bumping into people. Note that this applies to most cities in New Zealand aside from Auckland that is primarily inhabited by tourists that are just walking everywhere! Its real name is rangiora. The plant is smooth and soft and was used in the early days as toilet paper. The Maori were New Zealand’s first settlers and used the leaves to ease soreness and inflammation by crushing and mixing with water into a thick paste as a poultice. The kawakawa plant has similar properties and more. It is worth learning about it too if you are planning to spend time in the wild. Let’s say it, New Zealand is crazy about rugby! CRAZY! Understanding the rudiments of it is a must, as it will help you navigate small talk with rugby enthusiasts (to which a lot of locals are just that). No need to go too in depth, as long as you understand the words “try”, “scrum” and “conversion” you should be fine. If you want to know more about the different types of rugby in New Zealand, read our article about the difference between rugby league and rugby union. The adventure capital of New Zealand sees thousands of tourists passing through every year. Most of them accumulate gear while on their trip and are left with way too much to carry. The op-shops (second-hand stores) in the city are filled with barely used gear at a fraction of their retail price. Every hostel has a “Free Food” shelf or box in its kitchen. When backpackers are checking out they can leave the food that they cannot be bothered carrying. The best time to scavenge the free food shelf is usually between 10am and 11:30am, just after check-out time and before the lunch rush in the kitchen. For more hostel tips, head to our hostel tips portal. We just can’t say it enough: the New Zealand weather is constantly changing! A rainy day can turn into the sunniest day in a heartbeat and vice-versa. It is wise to think about that when planning what to wear for your next adventure. Layering your clothing is key and will make a real difference to your day. Check out what clothes we advise to pack for a gap year in New Zealand. 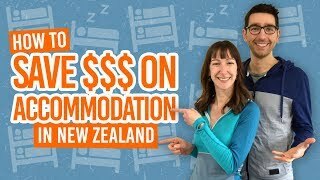 How Expensive is New Zealand in 2018?